2(2). SF - MORROW(1); GRAY(1). SB - WEATHERFORD(2); ORR(1); SNYDER(2). Win - SEXTON (1-0). Loss - EUBANKS (0-1). Save - None. (WHATLEY); by M. MILLER (MORROW). PB - WILKIE(2). HENNESSY faced 1 batter in the 7th. Wright State 1st - MORROW struck out swinging, out at first c to 1b. 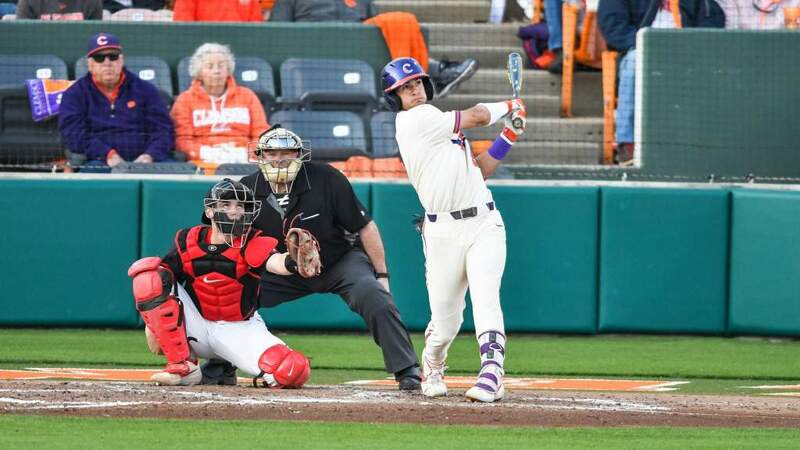 Clemson 1st - BRYANT struck out swinging. PINDER grounded out to ss. out to ss. WHARTON grounded out to 2b. 0 runs, 0 hits, 0 errors, 0 LOB. to left center. ORR lined out to cf. 0 runs, 0 hits, 0 errors, 0 LOB. GRAY scored. WEATHERFORD singled to right center; GILTROW advanced to second. out on the play. 2 runs, 3 hits, 0 errors, 1 LOB. 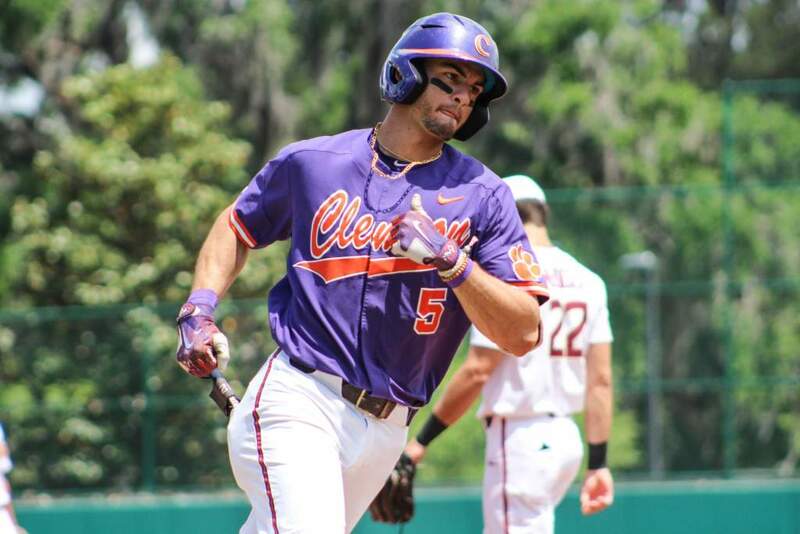 Clemson 5th - WHARTON grounded out to 3b. CROMWELL grounded out to 2b. WILKIE grounded out to ss. 0 runs, 0 hits, 0 errors, 0 LOB. pitch. 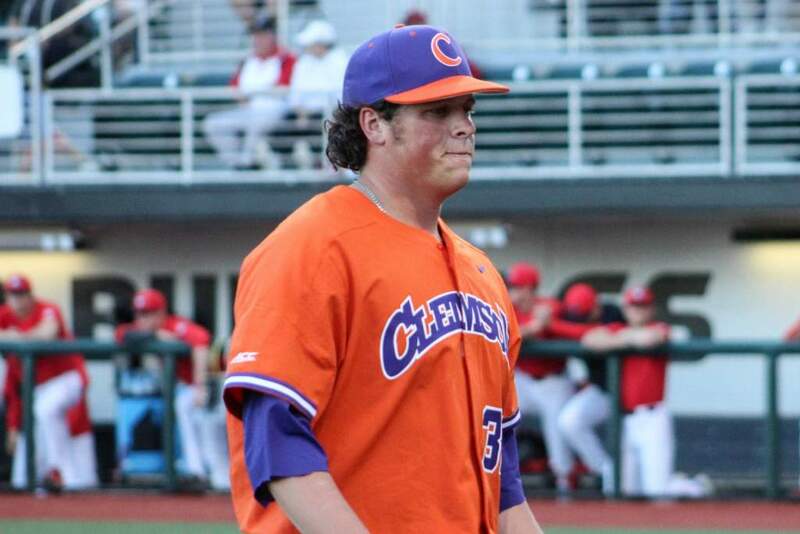 ALDERS struck out swinging. SNYDER advanced to second on a wild pitch. for HENNESSY. GILTROW grounded out to 3b, SAC, bunt; GRAY advanced to second. run, 1 hit, 1 error, 2 LOB. ss to center field. 0 runs, 1 hit, 0 errors, 2 LOB. 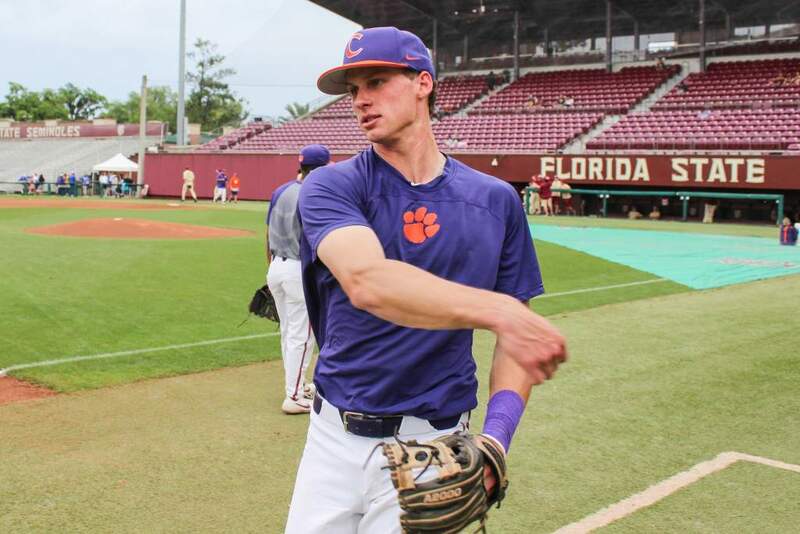 Clemson 8th - PINDER grounded out to ss. BEER struck out swinging. W.
JACKSON popped up to ss to left center. 0 runs, 0 hits, 0 errors, 0 LOB. Wright State 9th - M. MILLER to p for R. MILLER. MORROW hit by pitch. out swinging. 2 runs, 1 hit, 0 errors, 2 LOB. WILKIE. JOLLY popped up to 3b. 1 run, 2 hits, 0 errors, 1 LOB.